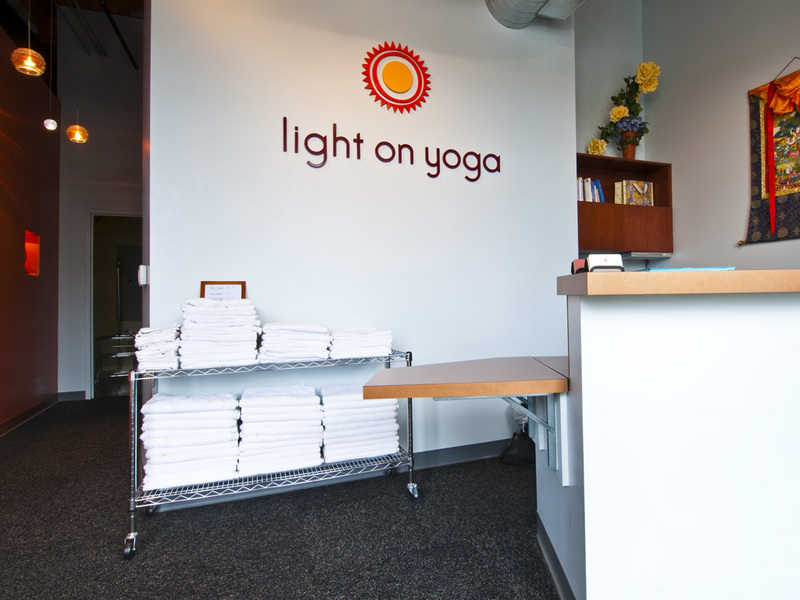 In a renovated industrial building situated in the Mississippi Arts District, “Light On Yoga” is divided into two basic functions and spaces; a practice studio and support rooms. 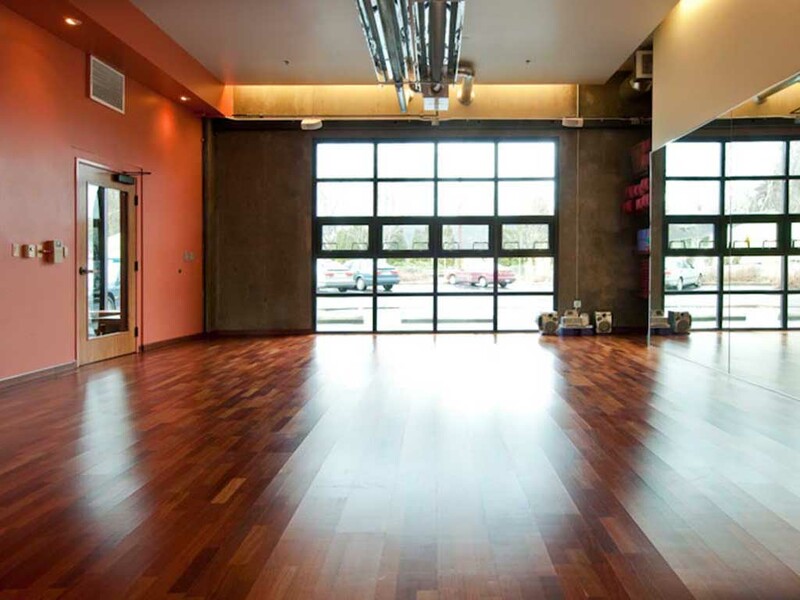 The studio features a unique climate control system that rapidly heats the space for hot yoga classes ( and quickly vents, cooling for regular classes ) . 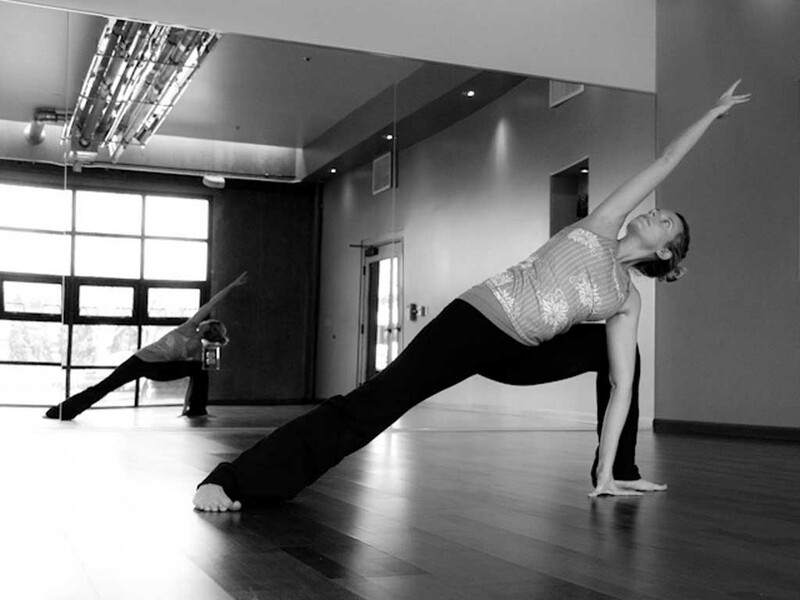 The space is defined by a thick bowed wall that houses both insulation and niches for Indian bronze sculptures . 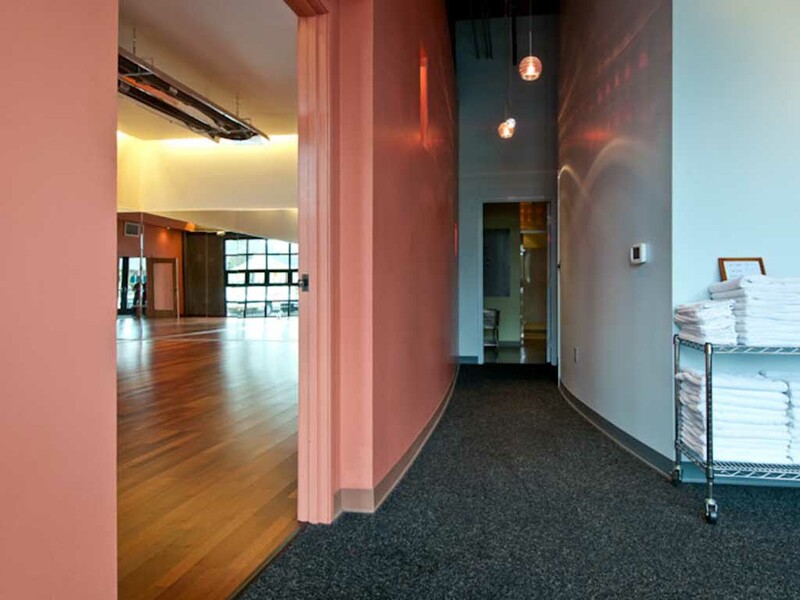 The studio walls are painted a warm, earthen color in contrast to the cool color palette of the support rooms. 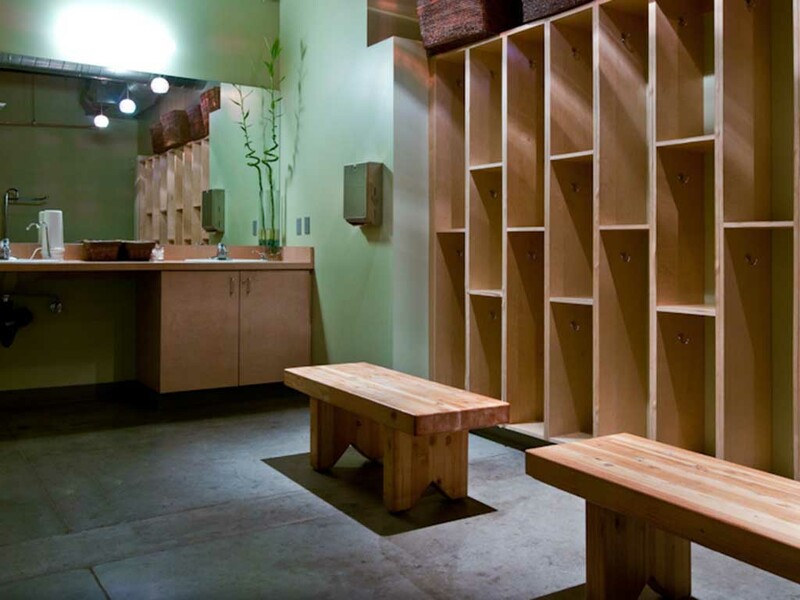 These rooms consist of a lobby / waiting area and two changing rooms with accessible showers and toilets. 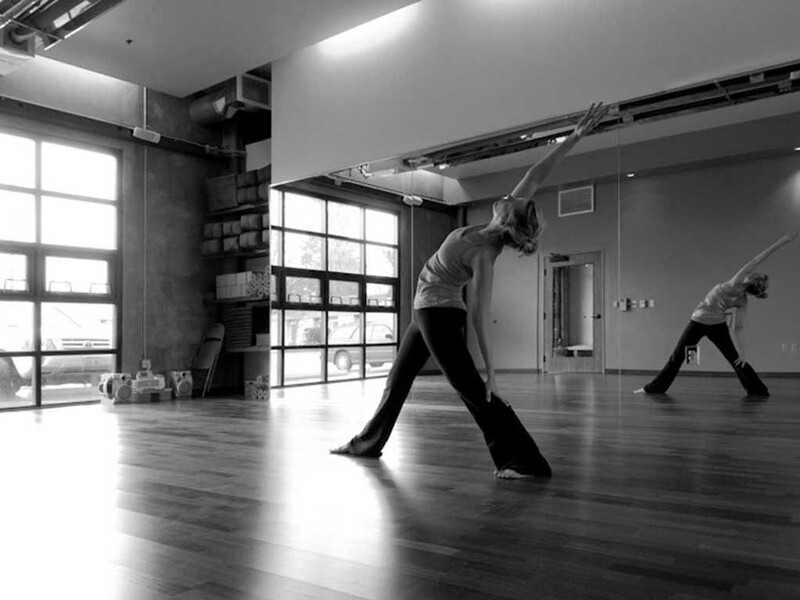 The space creates an interplay of hot and cool, embracing both the energetic and tranquil side of practicing yoga.